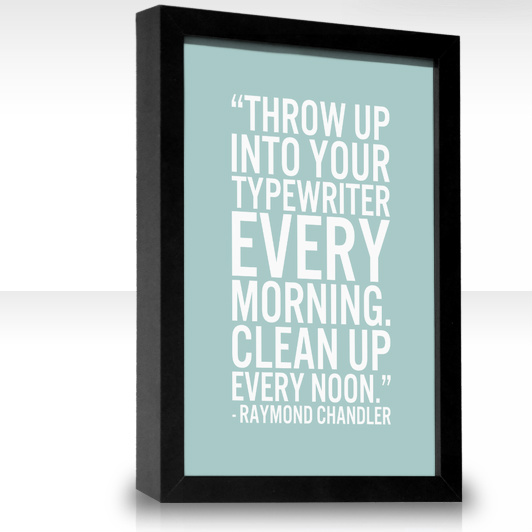 I know that ‘Writing Quote Wednesday’ would roll off the tongue a little better, but I couldn’t wait to share this gem from Raymond Chandler. I’m finding it very helpful at the moment… Although, for me, ‘every noon’ equals a comfortingly vague ‘later’. I hope you all have a super Monday and, if you require a little more distraction, I’m over on Novelicious today talking about the importance of world building.